Approximately 26 MILLION people (roughly 8% of the population) in the US have diabetes, which is the leading cause of blindness among adults aged 20-74 years. Now let’s dig a little deep into the most common diabetic eye problems. Diabetic eye problems represent a group of eye conditions capable of affecting people suffering from diabetes, which include Diabetic Retinopathy (DR), Diabetic Macular Edema (DME), Cataracts and Glaucoma. Some experts also include blurry vision in diabetic people into the same group. To better understand how these problems can affect eyesight of diabetic people; let’s first get a basic idea of how human eyes work. An eye can be considered as a ball covered within a tougher outer membrane. The frontal covering comprises of a clear and curved surface, the cornea, which is responsible for focusing light in addition to protecting the eye. The cornea allows light from the outside to pass through it to an anterior chamber filled with aqueous humor, a protective fluid. This light is then carried through the pupil, which is basically a hole in colored region of the eye called iris. This light is then led through a lens deep within the eye meant for more focusing. Finally, there’s another fluid-filled chamber right in the center of the eye through which the light passes, striking the retina at the back of the eye. How Diabetes May Affect Your Eyes? The tiny blood vessels present within your eye tend to suffer serious damage when your blood sugar level surges above normal; the higher the blood sugar level, the greater the chances of damage to your eyes. Your retina can suffer from various types of problems due to diabetes, collectively referred as “microvascular abnormalities”. Diabetes makes tiny vessels present in your retina highly susceptible to unnatural expansion and rupturing, resulting in blood leakage and the phenomenon is known as “microaneurysms”. To understand how elevated blood sugar levels affect your eyesight in various different manners, let’s move on to the connection of the eye diseases mentioned above with the diabetes in the following passage. Though anyone can get it, your probability of getting affected by cataracts increases 60 times if you are diabetic, compared to someone who is not. That’s why it is considered to be a diabetic eye disease. Your eye is said to have a cataract when the clear lens inside it is clouded or fogged, which is there to help us see and focus on images very much like a camera. 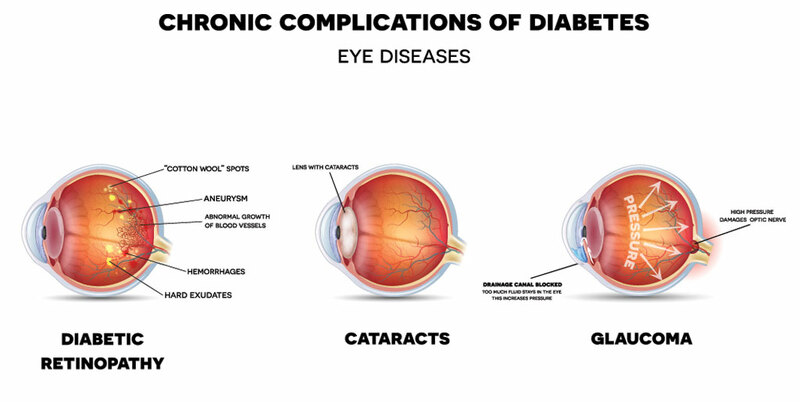 Diabetes makes people prone to getting cataracts at an earlier age, also playing a role in rapid progression of this eye disease in contrast to non-diabetic persons. Cataract treatment mostly involves surgical removal of the clouded lens, replacing it with a new artificial one. That’s right, having diabetes increases your chances of getting glaucoma around 40% compared to people not suffering from it. In fact, the longer a person has had diabetes, the higher goes his probability of getting glaucoma; the risk getting even higher with age. The inability of eye to drain the fluid inside it results in building up of undue pressure, leading to another of the diabetic eye disease, glaucoma. Blood vessels carrying blood to the retina and optic nerve gets pinched due to this added pressure buildup, leading to a gradual vision loss. 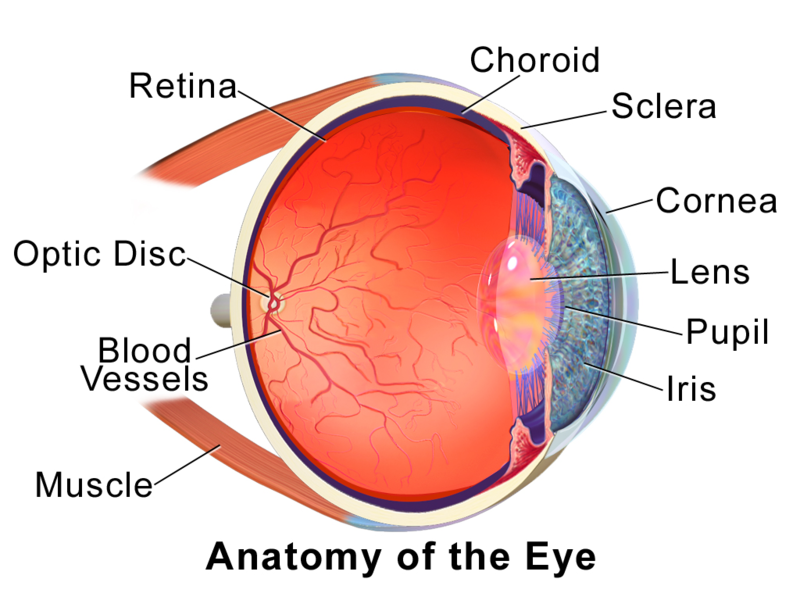 The retina in your eye is designated with detecting the light, interpreting it into electrical impulses and passing them on to the brain through the optic nerve. The raised level of sugar in blood due to diabetes ends up damaging tiny blood vessels within the retina, leading to blood and fluid leakage which is described as the “Diabetic Retinopathy” or DR. This fluid leakage can distort vision over time, also leading to vision loss and blindness. Mild Non-proliferative Retinopathy: This is the earliest stage of DR, which is characterized with appearance of “microaneurysms” (balloon-like swellings) in tiny blood vessels of retina. Fluid may leak into retina through these microaneurysms. Moderate Non-proliferative Retinopathy: Through this stage of DR’s progress, swelling and distortion also appears in blood vessels nourishing retina. It also affects their blood transportation capability and might lead to DME or “Diabetic Macular Edema”. Severe Non-proliferative Retinopathy: By this stage, plenty of blood vessels in the retina are blocked, cutting down blood supply to a considerable area inside it. This leads to the growth of new blood vessels in these areas, as they signal the retina by secreting growth factors. Proliferative Diabetic Retinopathy (PDR): This is the most advanced stage of diabetic retinopathy. By this point, there is a sizeable proliferation of new blood vessels within the retina (covering the internal surface of the retina as well as into the vitreous gel, the fluid filling the eye) due to the signaling of growth factor secretions. These new and fragile blood vessels are highly susceptible to bleeding and fluid leakage. The accompanying scar tissue can also cause retinal detachment, the phenomenon of retina being pulled away from its original position on the underlying tissue. Retinal detachment is capable of inflicting permanent vision loss as well. Photocoagulation: It involves an eye doctor making tiny burns on affected retina using a special laser in order to seal the bad blood vessels and stop their growth and leakage. Scatter Photocoagulation / Panretinal Photocoagulation: As the name suggests, this particular treatment for diabetic retinopathy involves formation of hundreds of polka-dot patterned laser burns on damaged retina in two or more sittings. Aimed particularly at reducing the risk of blindness due to vitreous hemorrhage or retinal detachment, this treatment proves effective only though if it is applied before significant progress of bleeding or detachment. Vitrectomy: Photocoagulation treatment for diabetic retinopathy loses its efficacy if there is already some serious blood loss or retinal detachment, thus requiring “Vitrectomy”. 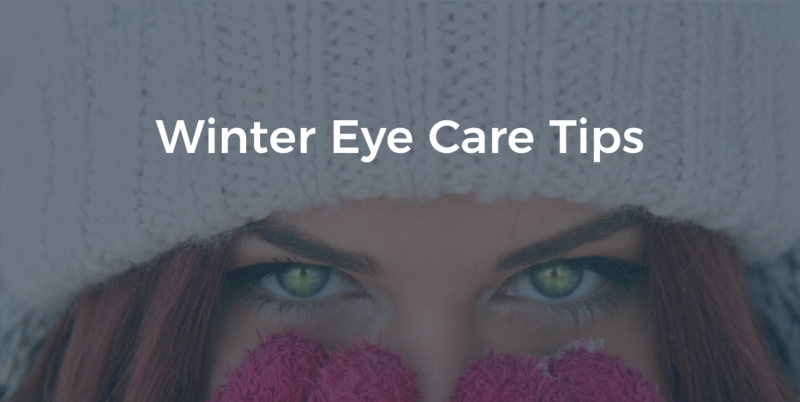 It’s a surgical procedure meant to remove cloudy fluid or scar tissue from within the eye. 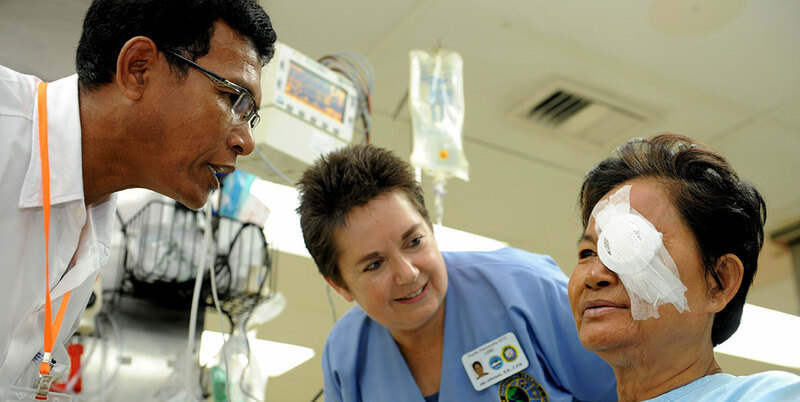 The earlier a patient is operated upon, the better are the chances of successful recovery. A complication of diabetic retinopathy, “Diabetic Macular Edema” or DME is an eye condition in which fluid leakage from the damaged blood vessels in retina causes swelling in the macula, the central most region of the retina. In people suffering from DR, vision loss mostly happens due to diabetic macular edema. Experts reckon that DME develops in approximately half of the people with DR. Though it mostly damages the vision as DR progresses, but it can kick in during any stage of the disease. Focal DME: Abnormalities in ocular blood vessels lead to focal DME. Diffuse DME: Swelling/widening through the retinal capillaries (thin blood vessels) leads to diffuse DME. Though ophthalmologists resort to different treatments for diffuse DME and focal DME, these share a commonality, i.e. laser procedures. They mostly go by “focal laser treatment” for treating focal DME patients and “grid laser treatment” for treating diffuse DME, both of which are aimed at stopping leakage in the macula. Once you develop the idea about the relationship between diabetes and eye problems, knowing about how not to fall victim to them is quite imperative, as you must have heard, prevention is better than cure. So, let’s have a look at some simple but effective ways of preventing diabetic eye problems. Unfortunately, diabetic eye disease symptoms are not that visible through the early stages of progression, which is why you should never skip your regular eye exam, i.e. at least once every year. A diabetes eye test enables your eye doctor to conduct a thorough examination of retina, optic nerve and all other critical elements of your visual system to pinpoint any signs of damage well in time. By regularly monitoring your eyes’ vitals, your ophthalmologist will ensure you enjoy optimal eye health and get any treatment as soon as possible to make sure no eye diseases succeed in damaging your eyesight. Elevated blood sugar level not only results in damaging your eyes’ blood vessels, but they also end up affecting the shape of your eyes’ lenses. This can lead to blurry vision, which is most likely to go normal once your blood sugar levels stabilize. You can avoid all such problems by managing your blood sugar appropriately. Your risks of eye diseases (even vision loss) grow significantly high if your cholesterol level and blood pressure lie in a range higher than normal. So, make sure your cholesterol level and blood pressure always remain in safe zone to stay away from eye problems. Smoking is known to play a part in increasing your risks of falling victim to diabetic retinopathy and other eye diseases related to diabetes. Avoid smoking and help your eyes remain healthy. 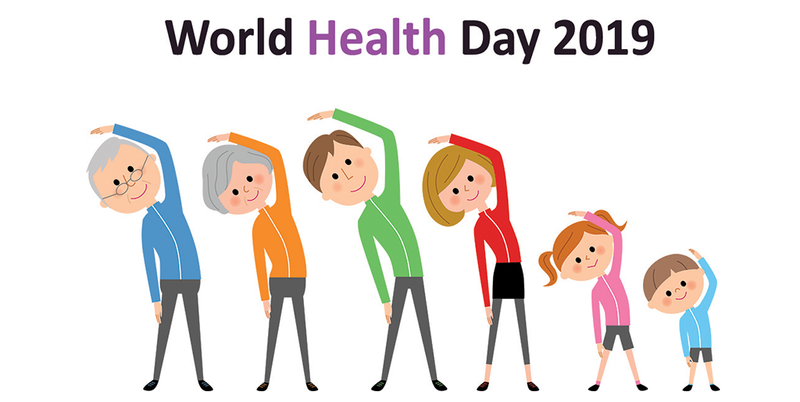 Engaging in regular physical activity ensures your cholesterol level and blood pressure are maintained at a healthy level, which contributes in ensuring optimal eye health. 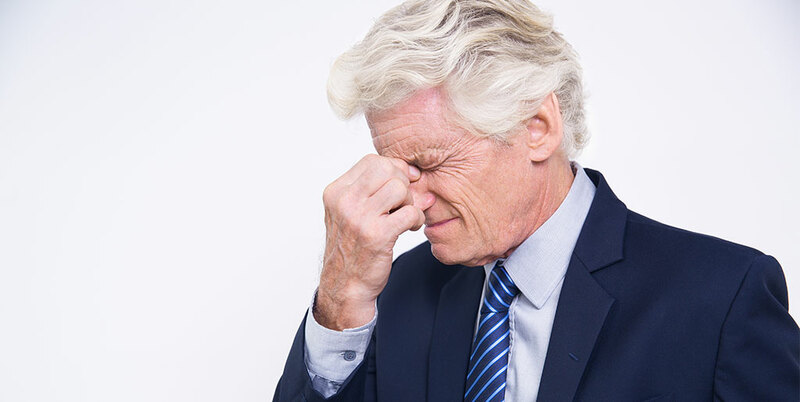 One of the worst things about degenerative eye diseases like the ones mentioned above is that once damage to your eyes is gone past a certain level, it cannot be reverted. 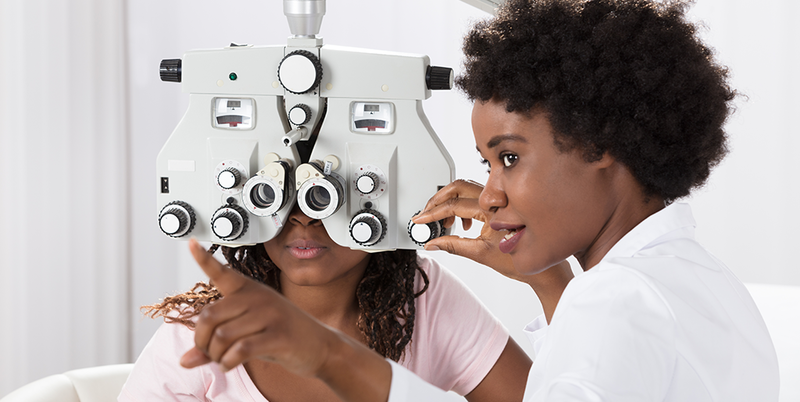 So, it is imperative to take regular eye exams, making sure any issue with your eyes and vision is identified and treated in time for best results. In fact, you can also resort to low vision aids even if your eyes have already been a victim of a serious eye disease and make the best of your remaining vision.